The Gourmet Experience- Our Trip for Foodies! Luxury River Trips: This experience is all about "going with your gut." This can certainly ring true when you're planning your adventure of a lifetime--especially when there's food involved! With an impressive river chef menu designed by our chef and Culinary Institute of America trained Sarah Jane, you can trust that our Luxury River Trips are the intersection of gourmet food, incredible settings and adventure. Spend the day exploring the secrets of the Colorado River and admiring the beauty of Canyonlands National Park. At night Indulge in five star cuisines prepared by our professional river chef, served on linen-clad tables with views of towering red rocks. Relax by the rivers edge with handpicked wines. 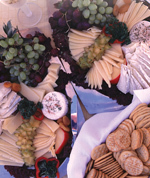 to for appetizers. Savor grilled pork tenderloin with Honey-Dijon Sauce, Grilled Asparagus, and Couscous as the sunsets. Save room for dessert with freshly baked brownies with assorted berries and whipped cream. Remember if you reserve your spot before October 31st you will receive this year's price. This is a savings of over 5%. If you are a repeat guest you still receive your 10% off. This could be a savings of over $250! NEW DISCOUNT: Pay in Full for Multiday river trips. If you pay your full river trip fare at the time you book we will give you 5% off your trip cost. This discount can be combined with both the 2013 rates and returning guest discount. This could be a 20% savings! If you have already booked a trip for 2014 and want to pay the remaining balance we will still give you the 5% Pay-In-Full discount. Just call Kristl at 800-332-2439 to make your payment. 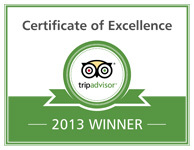 All 5 Stars for Trip Advisor Reviews this year! We have had a lot of people asking about our trips and if we can still run them. Sheri Griffith River Expeditions is not directly affected by the Government Shutdown as of right now. We are not allowed to run any trip in Cataract Canyon and Canyonlands National Park. We can still run all our Westwater Canyon trips for the rest of the year. But we feel sorry for all those coming to our great town of Moab, Utah looking forward to seeing Canyonlands National Park and Arches National Park and being turned away. There are still plenty of great things to do in Moab. 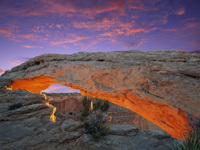 Check out www.discovermoab.com or www.visitutah.com for a list of alternate activities to do in the area.